so elegant, yet so simple! love it! 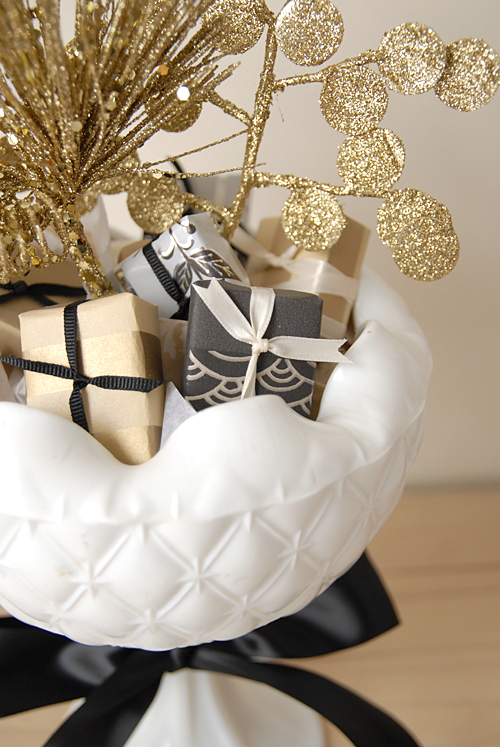 this would definitely dress up any table for the holidays. That is a gorgeous piece – I love the colors – and that vase is awesome! This is just beautiful and a wonderful idea. I confess that I wrapped a few boxes of raisins last night and put them under our mini-tree for a couple of toddler-friendly surprises. Thanks so much for the inspiration and I featured this on my blog today!